There are two trends emerging for data centre devices rack power requirements. They products are growing smaller, yet requiring high-density power. On the other hand, lower-density equipment demands higher power. Our Eaton Rack Power Distribution Units ePDUs provide the solution for both needs. Superior power quality depends on efficient power distribution. With todays small-size devices, a single rack of equipment might produce 40 or more power cords to manage. Eaton ePDUs complement your UPS systems, distributing power in high-density rack environmentsor anywhere conditioned power must be distributed to multiple pieces of equipment. From a single power input, you can manage and distribute power to multiple outlets, whether youre using a UPS from Eaton or another manufacturer. The Eaton ePDU family includes models with a variety of power inputs and outputs to fit most power requirements. You can select from UK, Schuko, French and IEC (C13 & C19) type output receptacles and local (UK or Schuko), EN 60309 or unterminated cords for termination directly to the output terminals of the UPS. Click here to see our standard range of standard of ex stock units. Eaton ePDUs offer individual branch rated circuit breakers to protect load segments, in other words, outlet groups. This increases overall availability by ensuring that an overloaded circuit does not affect other load segments. Circuit breakers have flat rockers or are fully shrouded to prevent accidental on/off operation. 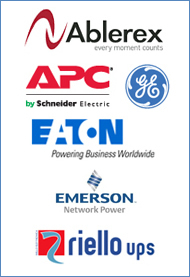 Eaton ePDUs meet applicable industry standards for IT equipment safety. An optional cable retention bracket prevents power cords from being accidentally disconnected. With visual indication of available incoming power and tripped circuits, you never have to guess the units operational state. With pre-installed mounting brackets, the unit is immediately ready to install in the rack without additional mounting hardware or accessories. Optional recessed mounting is available to accommodate large input connectors. Our Eaton ePDUs are covered by a two-year limited factory warranty. 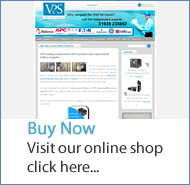 You can buy online here or you can contact our please call our service team on 0800 634 3390 or email us at sales@valuepowersystems.co.uk.